With the Fourth of July right around the corner, it’s a great time to celebrate. The cruise lines gave us plenty to be joyful about this week too with new releases, reveals, and official send offs. So, let the fireworks commence with our latest edition of Cruise News July 2, 2017. Get ready for one out of this world sailing coming in the winter of 2019. Luxury cruise line Viking Cruises announced they will be offering select sailings to the Arctic Circle. Debuting in January of 2019, the cruise will offer travelers the opportunity to get a glimpse of the Northern Lights. 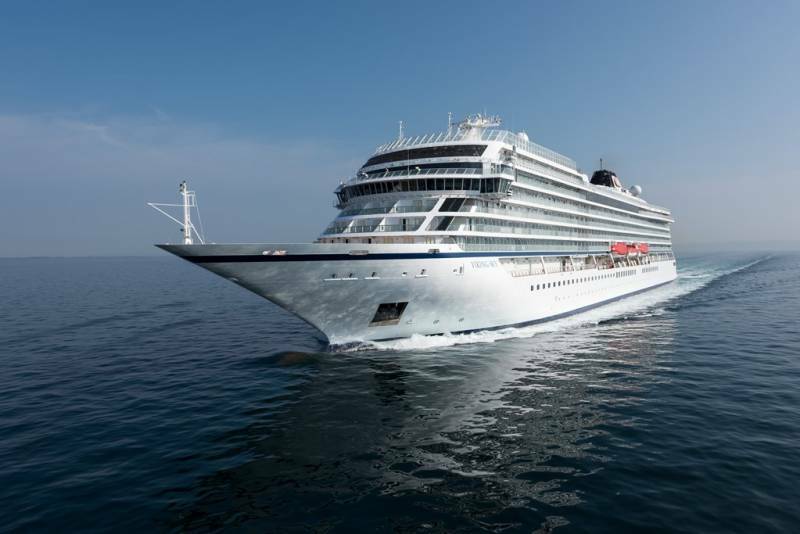 Viking Sky will host the 13 night cruise which will call on several ports in Norway. One of the fastest growing cruise lines in history, Viking Cruises has quickly become one of the go-to luxury brands. With several included benefits, such as complimentary shore excursions and free WiFi, the line has won several industry awards. Would you take a winter cruise to the Arctic? Let us know if you are brave enough to weather this sailing in the comments below. Norwegian Cruise Line welcomed its first purpose-built ship for China, the Norwegian Joy. NCL executives, the hull’s artist Tan Ping, and even the country’s leading pop star were all there to christen the company’s largest ship to date. This Breakaway-plus class ship offers some impressive features, including a go-kart style race track that graces the top outer decks. In addition, you will find virtual reality games, bumper cars, and other digital entertainment inside the ship. Unfortunately, the ship will not be visiting the Western Hemisphere anytime soon. The next Breakaway-Plus class ship, Norwegian Bliss, debuts in Alaska next year. Which Norwegian Joy amenities would you like to see on Norwegian Bliss? Saving the best for last? Carnival Paradise became the last ship from the three major cruise lines to call on Cuba. 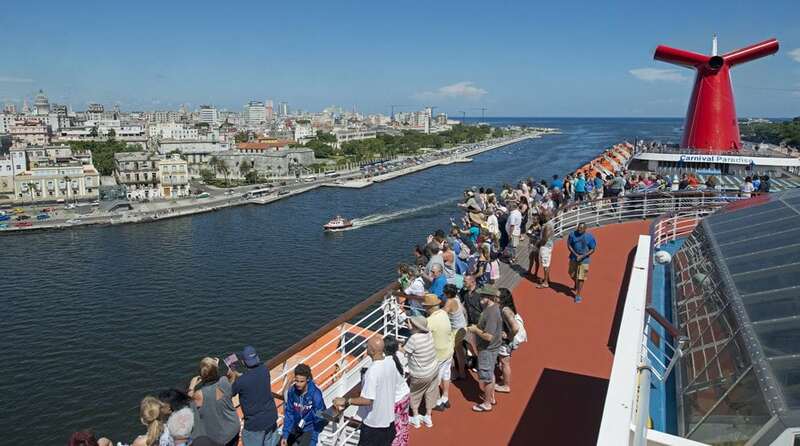 The ship arrived in Havana, Cuba on Friday amid some onboard celebration. Also the largest ship to call on the port, carrying just over 2,000 passengers, Carnival Paradise will be spending an overnight on the island. More sailings are planned throughout the summer. 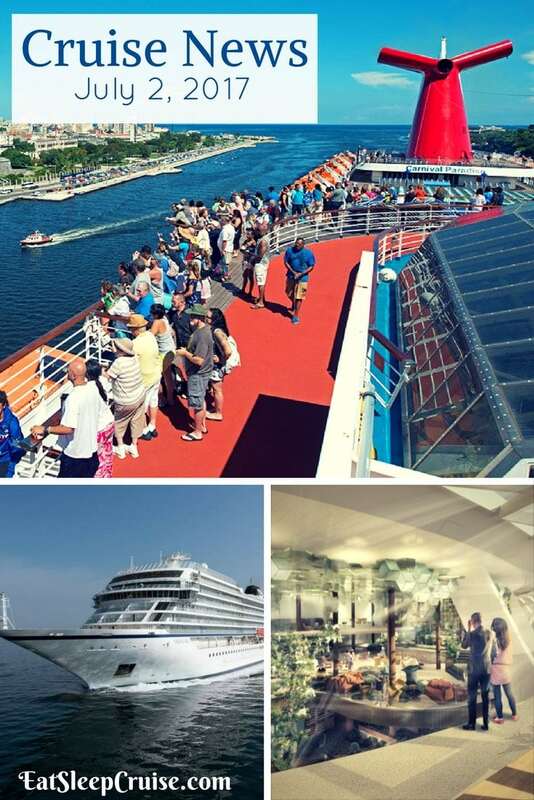 Itineraries vary from four to five nights and include additional stops at ports like Key West, FL or Cozumel, Mexico. Similar to current ships sailing in the region, passengers from the U.S. must engage in authorized activities on the island that comply with travel restrictions and meet the “people-to-people” cultural exchange criteria. To make the port more competitive, Port Canaveral cruise port officials approved plans this week to construct a new terminal. Plans were already in place to remove the small Terminal 3 building in spring of next year. The commission has now indicated that a larger terminal will replace the building. Plans are to design a terminal that can process up to 8,000 passengers. This would allow for some of the largest ships in the world to utilize the new terminal and pier space. While there has been no indication of which cruise lines are considering the terminal, the commission indicated that the terminal would be “used primarily by one cruise line”. The plan will cost around 150 million, and the new facility is not expected to open until the end of 2019. Raising a bit of a social media storm, Celebrity Cruises released more details about Celebrity Edge this past week. In an announcement from New York, the cruise line introduced Eden, a new venue on the line’s newest ship. This three-deck open space will feature a cafe, a restaurant, a bar, and multi-use space that changes based on the time of day, not to mention amazing floor to ceiling aft views. With a dynamic concept, the venue will host demonstrations and classes by day, and immersive entertainment and dining experiences will entice guests in the evenings. “Chillful. Playful. Sinful.” Are you ready to awaken your senses with this new space? The Princess and I are excited, but not all cruisers are happy. 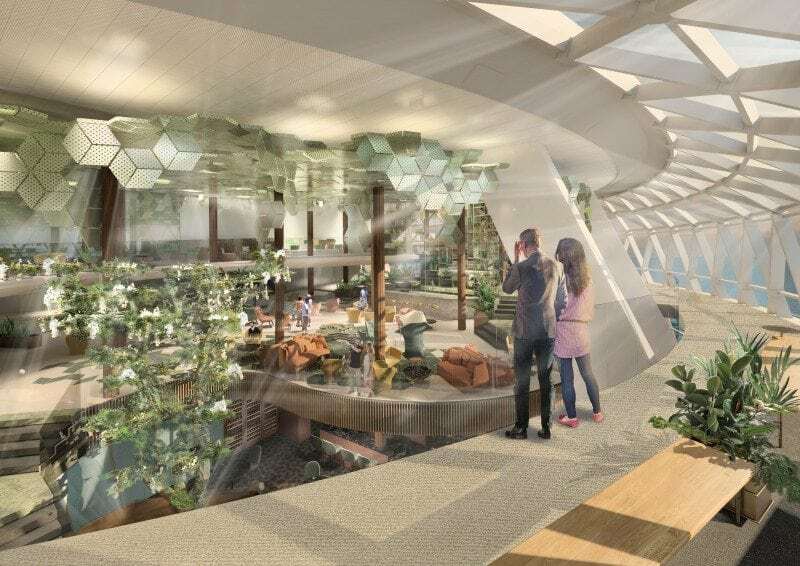 What are your thoughts about Eden on Celebrity Edge? Let us know your impressions below. Did we miss any major headlines? 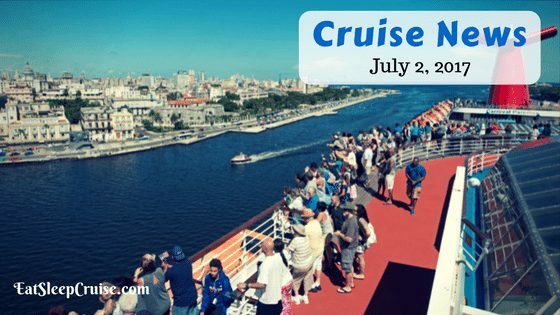 Do you have anything else to report on this edition of Cruise News July 2, 2017? Drop us an anchor below to share your breaking news.